Being an Authorized 3M™ Select Converter has its benefits. Along with partnering with one of the top manufacturers in the US, we’re able to help you use durable 3M products in your parts—a trophy few US converters hold. 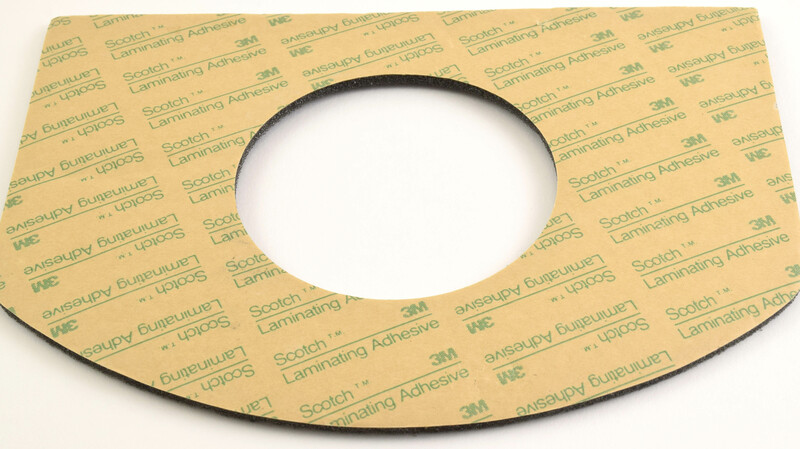 3M makes some of the most durable laminating adhesives in the industry. From challenging surfaces to extreme temperatures, 3M adhesives can keep your parts together and your equipment functioning. These acrylic foam tapes are comprised of closed cell foams with pressure-sensitive adhesive on both sides. This unique combo offers benefits that mechanical fasteners like screws, rivets and welds often can’t match. 3M VHB™ Tapes allow instant bonding, shock absorption, stress distribution, waterproofing, conformability, and expansion and contraction. 3M Single-Coated Foam Tapes can adhere to numerous substrates. The urethane series help cushion, seal, dampen sound and absorb vibration. The vinyl series products are durable, weather-resistant and remain flexible during exposure to temperature and light. EMI and EMC products protect from electromagnetic interference (EMI) and increase electromagnetic compatibility (EMC). These foils, tapes and gaskets are ideal for shielding and absorbing, static charge grounding, anti-static masking, cushioning, and mechanical protection. 3M reclosable fasteners beat out traditional fasteners with strength and versatility every time. Instead of rivets, screws, bolts, nails or welds, using reclosable fasteners are often preferred for repeated opening, closing, attaching and detaching. Damage and injuries are more preventable that you may think. 3M Safety-Walk™ slip-resistant materials help with this. These nonslip materials are used both indoor and outdoor to avoid costly slips and falls or harm to equipment. Use around oil, grease or water to improve product performance and safety. 3M Safety-Walk tapes and treads are the easy, economical way to help prevent injury and meet OSHA and ADA requirements. 3M Bumpon™ Protective Products decrease noise and prevent scratching by cushioning with resilient elastomers. A high coefficient of friction resists skidding on most surfaces. Ready to get started on your 3M products? Give us a call to send us your design specs or to get questions answered by our engineers.